EverFocus Electronics Corp. is a leading integrated security solution manufacturer. 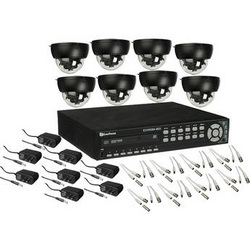 Our lineup includes of CCTV cameras, DVRs, HD-SDI, IP surveillance solutions, access control systems, as well as surveillance and access control peripherals. EverFocus® has been ranked as one of the top award-winning, global security equipment manufacturer in A&S magazine's Security Top 50 from 2007-2013. To ensure the quality of the three million security products we supply annually, EverFocus® uses the latest techniques and state-of-the-art manufacturing equipment in its production.